Where else will New England get its energy? The Pilgrim Nuclear Power Station, as seen from the sea in Plymouth. The Pilgrim nuclear plant’s closure has refocused attention on several proposals to boost New England’s electrical transmission and generation capacity. Pilgrim supplies an average of about 5 percent of the region’s energy, and about 84 percent of the state’s noncarbon emitting energy. Pipeline developers, including Massachusetts’s biggest utilities, have proposed new infrastructure to bring in fuel for gas-burning power plants. And several companies have proposed high-capacity transmission projects that could bring hydropower and wind power from Canada and Maine to central New England. 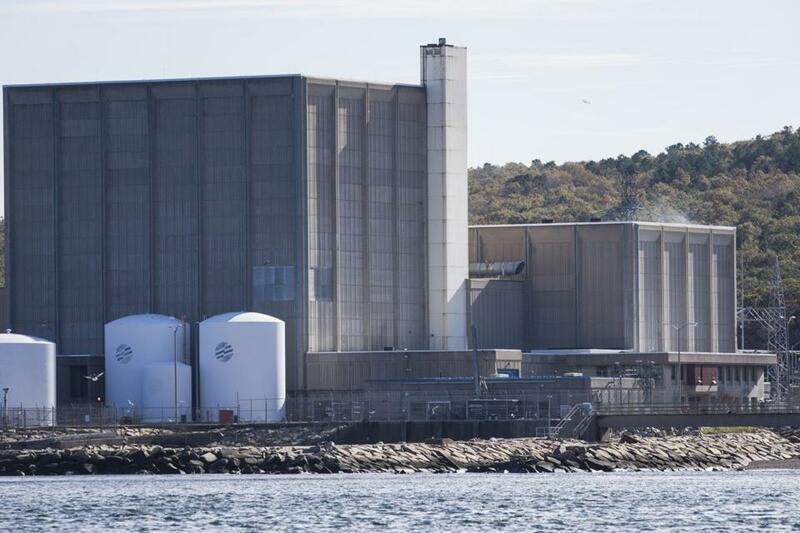 The Pilgrim plant’s closure has refocused attention on several proposals to boost New England’s power capacity. Status: Backers Spectra Energy Corp. of Houston, National Grid, and Eversource Energy say this project could fuel 5,000 megawatts of gas-powered generation. The Massachusetts Department of Public Utilities said earlier this month that electric ratepayers can be forced to shoulder the cost of building a pipeline, but that finding has been disputed by other stakeholders. Status: The Algonquin Incremental Market project is under construction, while the Atlantic Bridge project has not been approved by regulators. Unlike Access Northeast, these pipeline expansion projects aren’t explicitly meant to satisfy the demands of gas-burning electricity generators, although local gas distributors could end up selling some of the gas they ship through the pipelines to power plants. Status: Developer Kinder Morgan Inc. has proposed bringing as much as 1.3 billion cubic feet of gas per day to Dracut. It also wants to sell pipeline capacity to electric power generators. The project has stoked fierce opposition west of Boston. Status: Proposed by TDI-New England, this project would bury a 154-mile cable under Lake Champlain that could connect Canadian hydropower to the New England electrical grid. It cleared a significant barrier in June when the Conservation Law Foundation agreed not to block the project after TDI said it would dedicate $284 million to cleaning up the lake and promoting renewable energy. Location: Pittsburg, N.H. to Deerfield, N.H. Status: developer Eversource Energy has run into environmental opposition. After a government report said the power lines would have a negative impact on the scenic White Mountains, Eversource unveiled a new version that would entail burying much more cable. Status: This project, backed by Emera Maine and National Grid, is meant to transmit hydro and wind power, according to the developers. A National Grid spokeswoman said the company is waiting for Massachusetts lawmakers to move forward on energy legislation and does not have a customer lined up. Status: Anbaric Transmission and National Grid have proposed two projects that bear the name “Green Line,” one in Vermont and another in Maine with a total transmission capacity of 1,400 to 2,800 megawatts. The Vermont project will carry 400 to 800 megawatts and the developers plan to apply for environmental permits next spring. Status: The Maine Green Line, the sister project of the Vermont Green Line, will carry 1,000 to 2,000 megawatts. Permitting work hasn’t begun, the developers said, but National Grid said the project was at the same stage as the Northeast Energy Link. Status: Loring Holdings LLC, Natural Resources Energy LLC, and Transmission Developers Inc. are backing this project, which would ship wind, solar, and hydropower. Like most other transmission projects, it has not completed its environmental reviews, but has completed its route survey and is conducting a system impact study, according to Hayes Gahagan, a managing member of the development partnership. The story was updated Wednesday to correct the location of the Access Northeast pipeline, the size of the Northeast Energy Direct project, and the location of the Maine Green Line. Correction: Figures for the Northeast Energy Direct project were incorrect in an earlier version of this article.